Since 1999: 499004 pageviews on this page, 35331482 pageviews on the whole site. Since 1996: 37966235 visitors to ncdsa.com, 263699 posts. Caribbean Race in Castries St Lucia Dec 13'th 2016!!! striker and shnitzel are holding a sully / danger bay style race NEXT MONTH!!!! only 16 spots, $1000 first prize. registration first come first serve. crazy beaches, super nice island!!!!! A list of races planned for 2016, from the IDF webpage. 7-12-15 Monster hill in the So Cal Desert. Starts at Sunrise. Epic pavement, huge speed. One division. Go to American Skateboard Racing Federation/ facebook, or email innervisiondesign@yahoo.com for info. Details are for racers only. Catamaran Speed Trap and Cannonball Racing coming soon. Find a partner. Basement Lights On and Park Hill Skates are bringing back what skateboarding used to be about and showing people how there is a need to bring the skate community together, not commercialize it. For more details, please visit our Facebook page basementlightson.com or find more info on our Facebook event page. I recently moved hella close to San Francisco and was trying to find some longboarding competitions of any kind. Anyone have info or tips on getting info on bay area competitions? American Skateboard Racing Federation, presents "Never Say Die"
Downhill skateboard racing in SoCal. This event will be held at Spill Hill, one of the most insane and perfect private hills in SoCal. It will be a timed event. This hill lives up to its name, and will allow alot of room to improve times throughout the day. Lots of speed, drifting turns, and alot more challenges will push riders to make up alot of time. Pro timing provided, as well as shuttle. Perfect pavement, and a huge bank as part of the course. SUnday, dec. 30th, rain or shine, earth or no earth. Part race, Part DH, Part push, 100% awesome! Boardhunt is a team longboard scavenger hunt race. Helmets and slide gloves required! Race is $5 per person if you per-register, $7 person at the race. There will be around 6 stages in the race. Some push (a mile or less per stage), some will be DH. Stages can be run in any order, teams decide the order that they want to hit the stages. Each team must hit every stage. You could be caught up with a bunch of other teams at a stage, you could be alone. Stages are all over the Grand Rapids area and teams will be driving from stage to stage. Each stage will have a sheet to be signed with team name and arrival time. Points will be awarded via arrival position. Team with the most points at the end wins. Last team to arrive and sign in at any given stage will take the sheet with them so we can tally at the end. Teams of 3-4. If you don't have a team feel free just to show up and get added to a team. It will all end with a BBQ (Bring your own meat/drinks) and slide jam. Hey I live up by Sierra and I cant find any races around this Area. If anyone knows any please put some up! 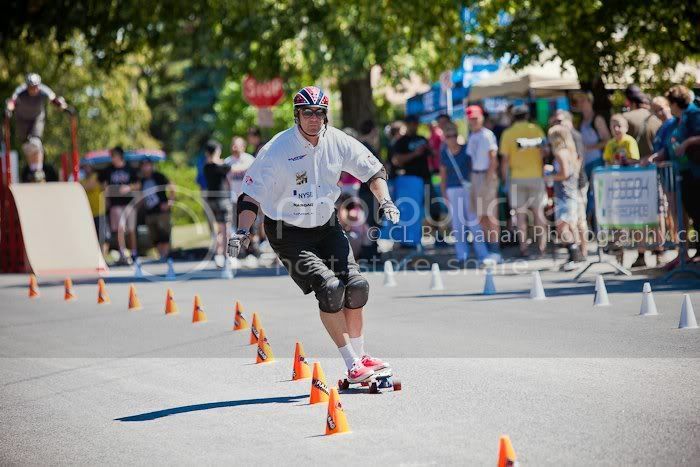 Rapid Movement Skateboard Marathon is a timed 26.2 mile race around the Beautiful Millennium Park located in Grand Rapids, Michigan - just minutes away from Downtown. Also we will have a shorter distance race which will be one lap. ... Rapid Movement is the first fully formed single celled organism to emerge from the primordial ooze of the Michigan longboard scene. This event is the product of evolution following years of mingling and collaborating. The marathon alone is going to be 26.2 miles of muscles on fire competition. The sprint events are the icing on the cake making it even more likely you'll be skating home with something. ****If you are from out of town and you need a place to crash please contact Preville Chris through FB, he will provide you with the means. im going to try to set up a longboard race out in mastic beach, long island new york for sometime in late june or early july. still just and idea. if you would like more information send me an email. Saturday Night - Toyland Music, Food and Style Jam! $50 Donation for the weekend. ALL Skate Jam - New School, Old School, Longboarding, Slalom, Freestyle, & More. Come join us for our 10th annual ALL Skate Jam on Sunday, October 9, 2011. Bring your ride and get a free raffle ticket to win great prizes donated by our sponsors. Stephen from Vitamin Water will be there to quench your thirst. Lizzie Skunk will be making sandwiches to fill your bellies. Frito Lays will provide yummy snacks! Big Dave from Plank will be blowing out t-shirts from his bazooka gun and Rodney Skunk is planning beer can hockey (providing the Jak's can get out of bed) so bring your broom. A slalom course will be setup. Ramps and rails will be available (bring your helmets and pads). Special kudos to Tim Roof from SF Rec & Park. Game ON sun, rain, or fog! Time for some slalom !! My friends and I are on a longboard team looking for races in Missouri and states around us, also for a sponsorship, we practice around our hometown with the amazinbg hills, thank you. All the details are updated on the Maryhill website. Priority Registration opens on Saturday April 16th, 2011 at 8:00 am PST. Priority registration closes on Saturday April 23th, 2011 at 8:00 am PDT. Open Registration opens on Saturday April 30th, 2010 at 8:00am PDT. Open Registration will remain open until all classes are filled. 5 days of racing against the world’s best Gravity Sports Athletes in the 2011 IGSA World Cup and IGSA Junior World Championships. The 2011 Concrete Games Skateboard Competition will take place on Saturday, April 2, 2011. The event will be held at the North Lowndes Skate Park located at 7715 Sonny Rogers Memorial Drive in Hahira, GA 31632. The cost is $15 for a skater to enter their age group competition (Street and Bowl) or the open competition (Street & Bowl) and each skater will receive a T-Shirt. For an additional $5 ($20 total) a skater can be entered into both their age category and open competition. All participants are encouraged to pre-register on-line by downloading a registration form at www.vlpra.com or contact us at 229-333-1861. On-site registration will be available on the morning of the event beginning at 9:00 am. The event will begin promptly at 10:00 am. The age groups are classified as 11 & under, 12-15, and 16 & up. The open competition is open to skaters of all ages. For more information concerning the Concrete Games Skateboard Competition, please contact Sirocus Barnes at 229-333-1861, or through email at sbarnes@vlpra.com. [color=#FF0000:3pw1yhd3][b:3pw1yhd3]I'm sorry, but the races have been canceled. [/b:3pw1yhd3][/color:3pw1yhd3] They will be rescheduled for early next year. My apologies in particular to anyone who had made plans to come in from out of town. For a number of reasons, it became impossible to hold the races on that day and at those places. I look forward to seeing you all at another event in the future. VIVA LA COSTA "REUNION" DEC. 5, 2009 CARLSBAD, CAL.RACE AND VIP DINNER, PASS THE WORD. hope to see some new faces out there come race day helmets are now required.